Review: Aubrey and FBI agent Jun have plans to start their relationship off with two weeks of sightseeing and enjoying each other to the fullest. What they do not expect is finding a skeleton in the closet and investigating a murder. I loved the perfect blend of the MC’s romance and the mystery throughout the story. The mystery itself was fascinating. I loved all the details surrounding the investigation. Murder, mystery, romance, treasure and a great cast of characters made for an amazing story. I found I could not stop reading from beginning to the end. Posted on June 15, 2018 June 14, 2018 by ShortyPosted in Book Review, DSP Publications, MM Book Review, MM Romance Book Review, ReviewsTagged C.S. 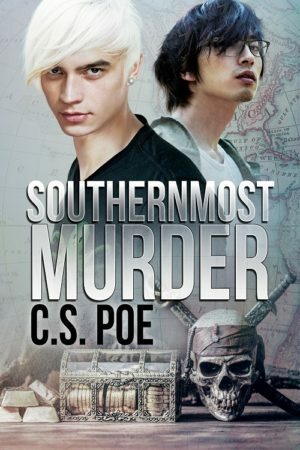 Poe, DSP Publications, Gay Mystery, Gay Suspense, GLBT Mystery, GLBT Suspense, Shorty's Reviews. Next Next post: Overtime by V.L. Locey Blog Tour, Guest Post, Excerpt & Giveaway!